Join us for this special Mother’s Day Workshop, and treat your Mum to an ‘experience’ that memories are made of. Our workshops are relaxed and hands on in a friendly, social setting where people come together to create & learn about design, along with handling and caring for succulents. 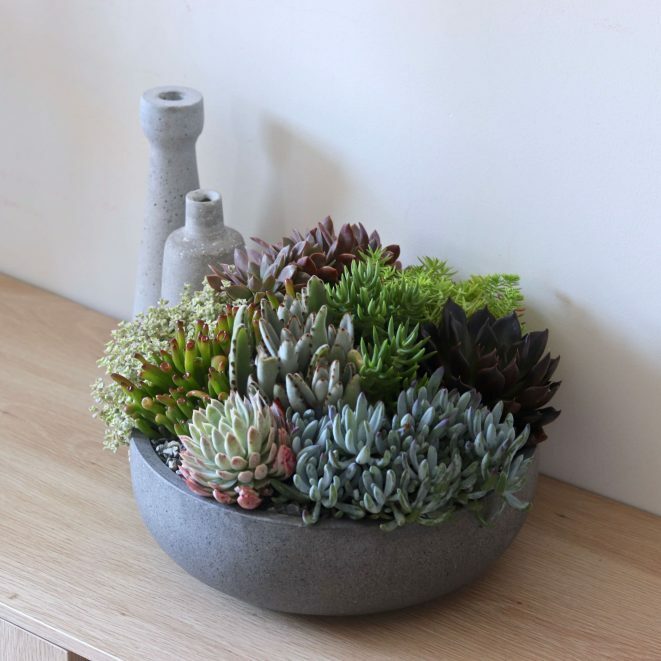 Everyone will leave with their own succulent bowl having learnt the secrets of design using colour, texture and form. The succulent bowls will thrive for months or even years to follow! The workshops begins with Suzanne creating a succulent bowl while discussing the design brief and ‘how to steps’ of the day. After some light refreshments each participant will then get to ‘roll their sleeves up’ and have fun designing their very own succulent bowl take home. We provide everything you will need on day and no experience is required. May Street Larder is located within the Mezz shopping centre and there is easy free 3 hours of parking available.